We are looking for a few teachers that need innovative solutions. Teaching in a virtual environment has many advantages, and we want to share them with you. 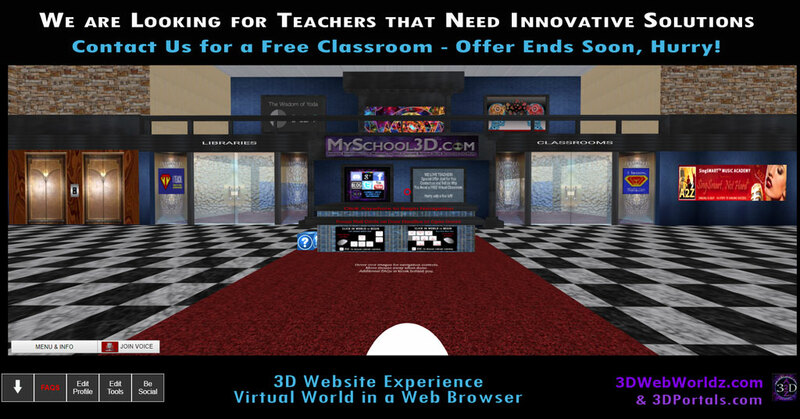 We will help you set up your classroom, teach you the tools and even help you convert your 2-Dimensional Curricula into a 3D Immersion Experience. Visit us inworld https://3dwebworldz.com or contact our helpdesk for assistance: https://a2z.freshdesk.com.